In the concept of Traditional Chinese Medicine (TCM), ginseng grows in a harsh natural environment, and it takes the shape of a man's body, therefore consuming it connotes the supplement of Jing Qi (Chinese: 精氣; essence and qi/vitality). It is not the material substance but the conceptualization of "qi" that is consumed. Long-lived wild ginseng of a rare strain is particularly deemed as anti-aging. However, because of the belief system in TCM, people think that wild ginseng is more powerful than the cultivated ginseng. It caused illegal harvesting and results in the wild ginseng becoming endangered in North America and East Asia. This issue is a serious conflict between “biodiversity”, a contemporary thinking of ecological conservation and the cultural value of traditional Asian medicine. With Moon Ginseng Kuang-Yi Ku tries to solve these complicated problems between Western modernity and Eastern heritage. To achieve this he designs a series of new cultivated ginsengs which are conceptually and culturally much stronger than the wild ones. The new ginseng will be a “hybrid medicine” combined by western science and TCM. 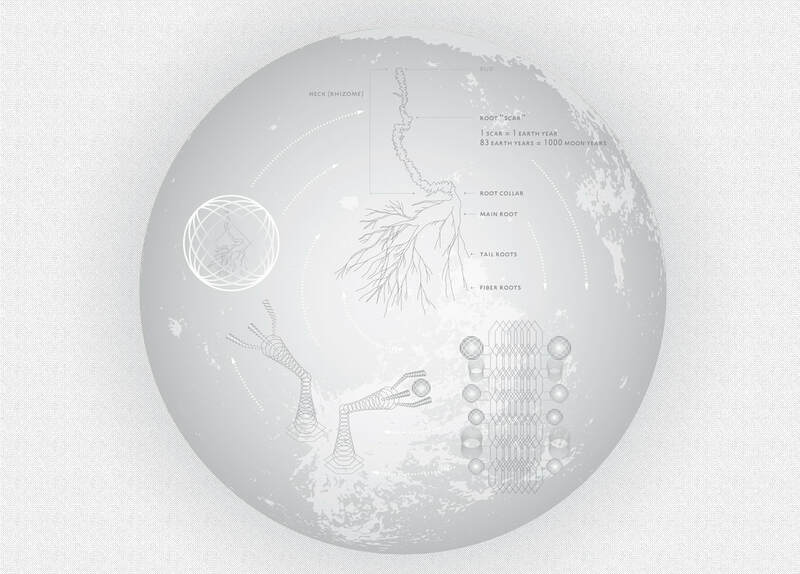 Moon Ginseng is a speculative scenario in which ginseng will be grown on the moon in the future. One moon year could be defined to equal to one earth month, so the lunar “millennium ginseng” can be cultivated in only 83 earth years. It is one of the many ways in which Kuang-Yi Ku conceptualizes the cultural significances hidden in TCM by representing the beauty and poetic quality in traditional Chinese culture and combine this with futurist thinking. In a Chinese myth “Chang’E Flying to the Moon” (嫦娥奔月), a women who took elixir of life became immortal and live on the moon forever. This legend shows the moon represent immortality in ancient Chinese traditions. One moon year could be defined to equal to one earth month, so the lunar “millennium ginseng” can be cultivated in only 83 earth years.